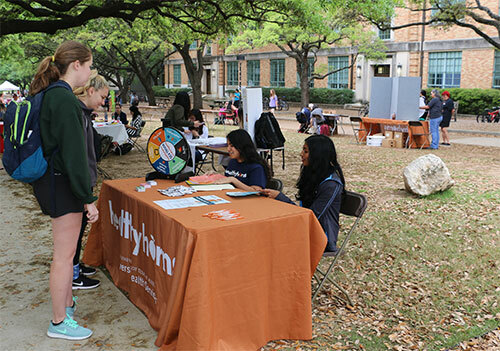 There are no academic prerequisites for the Healthyhorns Peer Educator program. Peer educators must commit to three consecutive long semesters (fall-spring-fall). 1 (fall) 3 hours 10 Prepare to be a peer educator through discussions, lectures, readings, assignments, shadowing of senior peer educators and interactive exercises. Start the planning of a campus health initiative and learn about a variety of health topics. 2 (spring) 1 hour 30 Take the lead on conducting campus outreach through facilitating workshops, tabling and other events while continuing to develop your own campus health initiative. Learn about different resources and services available to students. 3 (fall) 1 hour 30 Continue to conduct campus outreach through facilitating workshops, tabling and other events as a senior peer educator while serving as a mentor to incoming peer educators. Complete the development of your campus health initiative and learn about community health resources and services. Description: Prepare to be a peer educator through discussions, lectures, readings, assignments, shadowing of senior peer educators and interactive exercises. Start the planning of a campus health initiative and learn about a variety of health topics. 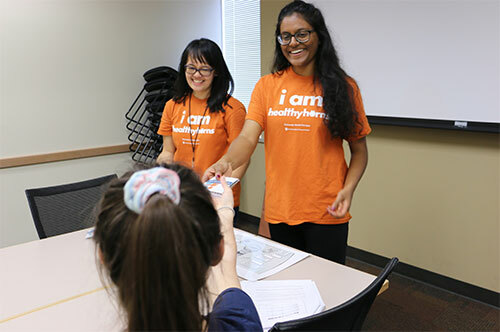 Description: Take the lead on conducting campus outreach through facilitating workshops, tabling and other events while continuing to develop your own campus health initiative. Learn about different resources and services available to students. Description: Continue to conduct campus outreach through facilitating workshops, tabling and other events as a senior peer educator while serving as a mentor to incoming peer educators. Complete the development of your campus health initiative and learn about community health resources and services. *For those in the Bridging Disciplines Program, the 1st semester class (HED 378D) meets the requirement for credit in the in Ethics & Leadership (under the Ethics of Health Care strand); Social Inequality, Health & Policy (under Public Health, as well as Family, Fertility, and the Life Course); and Social Entrepreneurship & Non-Profits (under the Health and Health Care strand). 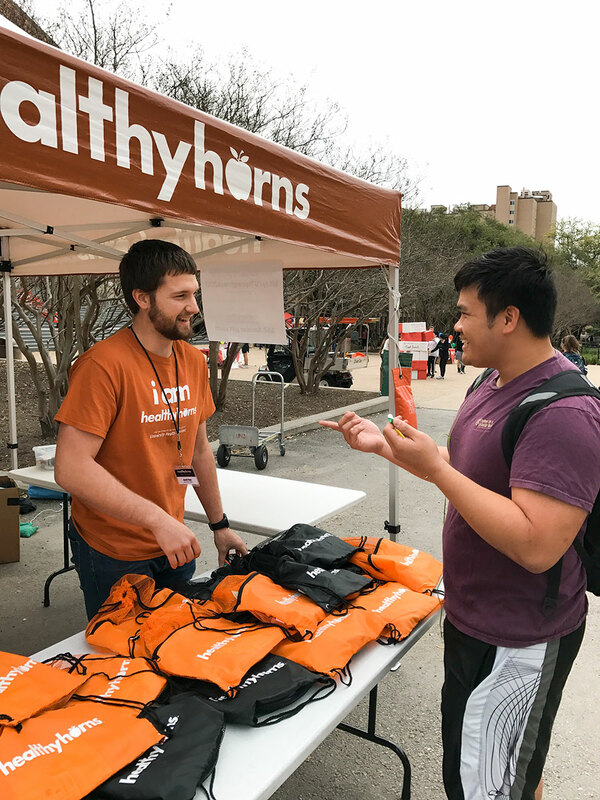 Volunteer hours are completed through outreach, workshop facilitation, tabling, planning meetings, program development, committee participation and other support for the Longhorn Wellness Center as needed. Additionally, peer educators are required to be a part of the Wellness Network through committee participation and member meetings. These meetings count toward the semester volunteer service hour requirement. 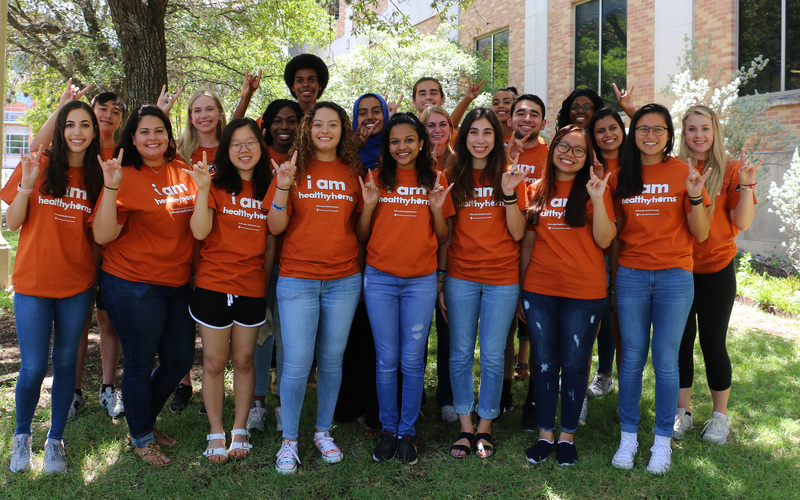 Healthyhorns Peer Educator applications are now closed for the fall 2019 cohort. Applications for the fall 2020 Peer Educator cohort will open in spring 2020. Questions? Contact us at (512) 475-8252 or m.ackerman@uhs.utexas.edu.